I feel like my teachers lied to me. The version of Western history that I was taught in school mostly focused on Spain and Portugal during the 1400s and 1500s, France and Germany in the 1700s and 1800s, Russia and Germany in the 1900s, and Britain during the whole era from the Dark Ages onwards. But I never learned anything about Poland, except for the weird fact that Copernicus showed up, out of nowhere, and suddenly invented modern science. Except he didn’t show up out of nowhere. As I’ve now learned, he grew up in the most liberal country in Europe while it was undergoing the greatest intellectual awakening outside of the Italian Renaissance, and unlike the situation in Italy, he didn’t have to worry about getting burned at the stake. When I didn’t know anything about Polish history, I tended to think Western history had been progressing toward the modern rule of law since the Dark Ages. That is, there had been Rome, then the tribal chaos of the Dark Ages, then the growth of a new civilization during the Middle Ages, then the rebirth of learning during the Renaissance, then the Enlightenment and the slow spread of liberal values. But when you consider that one third of Europe was a multi-cultural constitutional monarchy during the 1300s, 1400s and 1500s, then the story reads a bit differently. The 1600s seem like the beginning of a long era of increasing nationalism and racism. Consider that the Union of Poland-Lithuania elected Muslims to the Seym (the Parliament) during the 1500s. But when religious intolerance finally won in Poland, in the 1600s, the Muslims were pushed from power, and no other Western nation was to elect a Muslim till the mid 1900s. 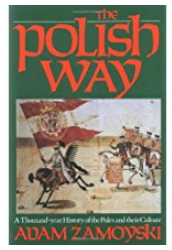 I’ve been reading the book by Adam Zamoyski, written in 1993, The Polish Way: A Thousand-Year History of the Poles and Their Culture. Learning the history of Poland casts some doubt on the way I was taught Western history. For instance, in the version I was taught, there were moments throughout the Middle Ages when the King of England wished he had the power to appoint bishops, and there were moments when the King tried to influence appointments, but always, in the end, the King bowed down before the power of the Catholic Church, which had absolute control over all religious appointments in Europe. Therefore, it was a very radical step when England converted to the Protestant faith, and the King began to appoint his own bishops. But my understanding of this episode changed when I learned that the King of Poland never granted Rome the power to appoint bishops, and all through the Middle Ages all religious appointments in Poland were handled by the King, in consultation with the Seym (the Parliament). If the Pope in Rome accepted this as normal in Poland, then why did it seem like such a big deal in England? More so, Henry VIII was keenly aware of the precedent that Poland offered, and he cited that in his own defense. Why wasn’t I taught this? Why didn’t any teacher mention this? It changes the story quite a bit, to know that Henry VIII was not a radical breaking a thousand years of tradition, but rather, was simply demanding a right that the Pope had long ago ceded to the King of Poland. The Union of Poland and Lithuania was automatically multi-cultural, multi-racial and multi-religious from the moment of its creation, since Lithuania was deeply pagan up to the moment of the Union, and it remained pagan for centuries afterwards. So Poland had to simply accept the extreme diversity of the Union, if it wanted to enjoy the vast power that the Union would grant it. Here is Adam Zamoyski’s description of the creation of the Union. (Readers might be confused when the writer says that Lithuania is three times bigger than Poland, since modern Lithuania is a small country. But back then, Lithuania covered all of what is now Belarus and most of what is now the Ukraine, down to the Black Sea and east to a region that was so lightly populated the border was not very well defined.) The Union covered almost one third of Europe. …They had found a husband for her in Iogaila, Grand Duke of Lithuania. She was so frightened by the prospect of succumbing to this hairy heathen much older than herself that she pleaded with the lords, and was only placated after a favorite young knight of hers, Zawisza of Oleśnica, had been sent to inspect Iogaila in his bath-house, and reported back favorably on the details of the barbarian’s body. The idea of a union between Poland and Lithuania had germinated simultaneously in both countries. On 14 August 1385 a basic agreement was signed at Krewo. This was followed by more specific agreements at Wołkowysk in January 1386 and at Lublin a few weeks later. On 12 February, Jagiełło, as his name had crystallised in Polish, entered Kraków, and three days later he was baptised as Władysław. On 18 February he married Jadwiga, and on 4 March was crowned King of Poland. Side note: During the Dark Ages and the Middle Ages, Poland did not have a feudal system such as what existed in Western Europe. There was no hierarchy of Duke / Count / Knight. The author, Adam Zamoyski, has decided to translate certain titles in equivalents that would be recognizable to Western readers. So Zamoyski refers to “Grand Duke of Lithuania” but that is not the actual title that the head of Lithuania had at the time. Poland had now linked its destiny to a backward pagan state three times its size, which it would never quite manage to control. …The benefits were immense, and there is no doubt that the Kraków Lords had foreseen some of them when making that choice. They did not find Jadwiga a husband amongst the Silesian or Mazovian branches of the Piast royal house, because his hereditary right to rule would have placed im in too strong a position. They did not want the Habsburg, because he was an agent of German hegemony. By choosing Jagiełło, they took someone whose position would never be entirely secure, someone who would rule on by their consent. They opted for a constitutional monarchy, and this was to permit Poland to flourish in a way uniquely her own. This sounds like the kind of uncertainty of roles that helped England eventually evolve constitutional government, but things went much faster in the Union, and much of that evolution seemed to be forced by the incredible diversity of the Union. England made a good start with the Magna Carta in 1215, but then the process in England stalled, and there was no further progress till the 1600s. In the Union of Poland-Lithuania, the process raced ahead. At that time, the concept of religious toleration was almost unknown in Europe, yet the Union was instantly put in the position of having to defend the freedom to worship. The territories of Lithuania consisted entirely of pagans, Jews and a few Eastern Orthodox. The King himself converted to Christianity just a few days before he was crowned King. It would be centuries before these pagans converted to Christianity, and even then, as Jews were chased out of other nations, these regions in Eastern Europe became the lands where more than half of the Jews in the world lived (until the 1930s). Something about this fusion inspired innovative thinking in many areas, including military tactics. As there was no unified, widely understood system of feudal ranks in the Union, many leaders gained prominence based on merit, a rarity in those times. Starting in the 1400s, the forces of the Union were to win every battle they fought for more than a century, even when they were badly outnumbered. Most famously, they defeated the Teutonic Knights at the Battle Of Grunwald (Tannenberg), in 1410, which was one of the largest battles in Europe during the Middle Ages. The Teutonic Knights had representatives and friends at every court, and they were masters of propaganda. …They pointed out, with some justification, that the alleged conversion of Lithuania was a sham. Therefore, they maintained, the Teutonic Order was more than ever carrying on a real and vital crusade. At Grunwald, they pointed out, the Catholic Polish knights had been a minority in an army made up of Lithuanian pagans, Christians of the Eastern rite, and even Muslims (the Tartars who had settled in the region back during the 1200s). They argued that Władysław Jagiełło’s army was barely more Christian than Saladin’s [[who faced off against Richard The Lion Hearted during the Third Crusade]]. They had a point, and that point assumed importance in the context of a minor Reformation which was sweeping Europe, a nationalistic, reformist, anti-clerical, anti-Imperial [[ The Holy Roman Empire, mostly modern Germany ]] movement, whose greatest exponent was the Bohemian Jan Hus. The Hussite movement was itself connected with Wycliffe’s Lollards in England, and both causes enjoyed considerable sympathy in Poland. It was no coincidence that many prominent Hussites fought in the Polish ranks at Grunwald. The Teutonic Knights ranged themselves on the side of Empire [[ The Holy Roman Empire, mostly modern Germany ]], the established Church, and traditional dogma on such subjects as crusading. The Polish-Lithuanian alliance was cast in the role of champion of nationalism and of the view that infidels were also children of Christ, to be converted, not slaughtered. The matter came to a head at the Council Of Constance which met in 1415. Arcane canonical arguments were spun out in endless debates to prove that an infidel was not a human being in the full sense of the word, and that by allying themselves with infidels against other Christians, the Poles had made an alliance with the Devil against Christ. The Polish delegation to the Council, led by Pawel Włodkowic of Kraków University, included a number of Lithuanians and schismatics, and caused an uproar. Włodkowic ran rings around the defenders of the Teutonic Order and managed to discredit them in the public mind – a change of opinion reflected in the fact that after 1415 foreign knights seeking glory no longer came to Prussia. But there was no clear-cut victory. The Teutonic Knights continued to wield diplomatic weapons and they still had an ally in the Empire, which had political objections to the Polish-Lithuania stand. Surprisingly, Poland had doubts about Catholicism from the moment it converted in the 900s up till maybe the 1600s. At some of the so-called Hussite battles, the majority of the troops were from the Union. Slight off-topic, I recently read an essay that argued that Communism during the 1800s and early 1900s was one of the world great religions, but it is the only world religion that’s ever failed completely. The essay asked the question, what did it really mean, that a world religion can fail completely? And yet, as I’ve been reading about the Hussites and Lollards and the rebellion of the 1300s and 1400s, I’ve come to realize that a person writing in the year 1500 would have said the same thing about Protestantism. It sprang up in the 1370s and burned hot for several decades, then it seemed to burn out and become more and more moderate, fading away almost completely by the early 1500s, and then suddenly reemerging, more powerful than ever before, in 1517. They did not believe the church practices of baptism and confession were necessary for salvation. They considered praying to saints and honoring of their images to be a form of idolatry. Oaths, fasting, and prayers for the dead were thought to have no scriptural basis. They had a poor opinion of the trappings of the Catholic church, including holy bread, holy water, bells, organs, and church buildings. They rejected the value of papal pardons. Their doubts about baptism and confession seem similar to Luther’s assertion that there is no path to heaven save through grace alone. The only thing these early Protestants seem to lack is the theoretical purity of Martin Luther (I could have written “extremism” rather than “purity”). He shows up in 1517 and sweeps away 2,000 years of Christian tradition by insisting that every Christian theologian before him was guilty of the Pelagian Heresy. The stuff about the Pelagian Heresy was probably the only concern that did not resonate in Poland. But when it came to national control of the church, Hussites and Poles were more than a hundred years ahead of Luther. The principle of government by consensus was already enshrined in practice under the early Piast kings [[ who first created Poland in the 900s ]]. By the beginnings of the thirteenth century this practice was established firmly enough to play a major role in the government of various provinces when the Kingdom was divided. Provinces such as Wielkopolska or Mazovia would hold an assembly called seym. This was made up of delegates elected at a smaller meeting, which was called seymik, at which the entire szlachta of the district could join in the discussion. During the Dark Ages and the Middle Ages, Poland did not have a feudal system such as what existed in Western Europe. There was no hierarchy of Duke / Count / Knight. Instead, Poland had the szlachta, a broad citizen-warrior class that can be thought of as an upper middle class. This amounted to 10% of the population. That might sound like a very limited form of democracy, but it is the same percentage of the population as voted in the famous democracy of ancient Athens, and no European nation matched Poland until Britain passed the Reform Act Of 1832. So Poland was centuries ahead of other Western nations. The consent of the seym of every province was of vital importance in the process of reunification of the Polish lands, and by the time this was achieved the seyms had become part of the process of government. Władysław The Short convoked seyms four times during his reign (1320-1333), and his successor Kazimierz The Great (1330-1370) almost as often, acknowledging them as the basis of his right to govern. This body was dominated by the bishops, for the Church was at the zenith of its temporal power. A typical figure is Zbigniew Oleśnicki, Bishop of Kraków, secretary to Władyslaw Jagiełło, regent during the minority of Władysław III and mentor of his successor Kazimierz IV. Educated, tough, and absolutist in his convictions, a cardinal who was a born statesman, guided by a vision which combined his own advancement with that of Poland and the Church, he had no room in his scheme of things for a vociferous seym. The szlachta were not fond of him or the oligarchy he stood for. They were imbued with an aversion to central government, with a belief that they should be consulted, and with the suspicion that t any decision taken behind closed doors was a threat to their position. They made it clear that that Władyslaw Jagiełło needed their support as well as that of the magnates in order to secure the succession of his son. The enabled them to extort a number of privileges and rights from the King during the 1420s, the most of which, granted in 1425, was the edict “Neminem captivabimus nisi iure victum”. An equivalent to the later English Habeas Corpus Act of 1679, it meant that nobody could be held or imprisoned without a trial. This law, the basis of all civilized life, freed the szlachta from all fears of “persuasion” or reprisal on the part of the magnates and the officers of the crown. Once it had become clear that royal power and prerogatives were being ceded, the magnates and the szlachta leapfrogged each other to claim them. This race had the twofold effect of accelerating the development of the parliamentary system, and of defining the two groups which were eventually to crystallize into the upper and lower chambers. Nowadays, schoolchildren in Poland are taught that the szlachta are the selfish villans of Polish history. The narrow self-interest of the szlachta lead to the destruction of the Polish kingdom during the 1700s. At that time, the szlachta were so selfish that they refused to pay all taxes, even those taxes that were necessary to pay for an army that could repel the invading Russian and German forces. Thus Poland was destroyed. But it is misleading to look only at how the story ends. Because earlier, the szlachta were also heroes of freedom, for two hundred years, starting in the late 1300s. I think a good analogy for the szlachta would be the Republicans in the USA. The Republicans start off, in the mid 1800s, as a progressive force, fighting against slavery and racism and fighting in favor of free movement, free labor, and equality before the law. But then in 1912 the Republicans face a crisis, and they are forced to choose between a reactionary wing lead by Taft, and a progressive wing lead by Roosevelt. The Republicans choose the reactionary path, and it leads to the slow, but inexorable, corruption of the party, with frightening authoritarian figures such as Senator Joe McCarthy appearing, first on the fringe, and then more and more at the center, till the party finally reached its current level of degradation, under President Trump, who has been willing to build alliances with foreign powers to conspire against his own country. Feeling hemmed in by the magnates, Kazimierz IV sought the support of the szlachta, who were eager to give it, at a price. The price was the Privilege Of Nieszawa, granted in 1454, which stipulated that the King could only raise troops and taxes with the approval of the district assemblies, the seymiks of the eighteen palatinates of Poland. It enshrined the principle of “no taxation without representation” for the rank-and-file szlachta, who all had a vote at the these assemblies… In 1468, these decided to meet together, at Piotrków, and henceforth constituted the national Seym… The next step came in 1493, when it divided into two chambers: the Senate, consisting of 81 bishops and dignitaries, and the Seym proper, which consisted of 54 deputies of the szlachta and the largest cities. After the death of Jan Olbracht in 1501 his brother Aleksander was elected, and forced to sign over yet more royal power to the Seym before he could take his throne. Four years later, the Seym sitting at Radom passed the act Nihil novi, which formally bound the King to take no action whatsoever until it had been debated and endorsed by the two chambers. Adam Zamoyski does a fantastic job of explaining some of the countervailing forces that were pushing towards oligarchy. In particular, he describes the growing power of the Catholic Church, which, over the course of centuries, built up power, till finally, in the 1600s, the Church convinces the King to turn against the multi-cultural, multi-racial, multi-religious nature of the Union, and thus begins the process that leads to its destruction. But I’m going to leave most of that out, for the sake of length. I do recommend that you read the book, and I hope these excerpts interest you enough to do so. An amazing truth that emerges from the Polish experiment with constitutional rule is how much we have gained from that century long debate that we call The Enlightenment. Thanks to that long conversation, we have a vocabulary to describe the whole constellation of elements that we now describe as a “liberal” regime: “due process” and “checks and balances” and “the rule of law” and “habeas corpus” and “written constitution” and “human rights” and “free speech” and “freedom of conscience (religious toleration)”. Because, as I read about what the szlachta achieved in the 1400s, what also strikes me is how much they were groping in the dark. They kept sensing they were close to an important principle, but they lacked the vocabulary to describe it, and they lacked the abstractions that would allow them to see these principles as universal truths. It’s as if they had set out on an ocean voyage, before anyone had learned how to navigate via the sun — there was always a good chance that they would wander off course. …By the mid 1500s the szlachta included Lithuanians and Ruthene boyars, Prussian and Baltic gentry of German origin, as well as Muslim Tartars and smaller numbers of Moldavians, Armenians, Italians, Magyars and Bohemians. It was regularly increased by intermarriage with wealthy merchants and even peasants. The szlachta made up 10% of the population. Since they extended from the top to the bottom of the economic scale, and right across the board in religion and culture, the represented a wider cross-section (as well as a greater percentage) of the population than any enfranchised class in any European country until the mid 1800s. To be a member of the szlachta was like being a Roman Citizen. The szlachta were the nation, the populus Romanus, while the rest of the people inhabiting the area were the plebs, who did not count politically… It was they who fought for the execution of the laws, for a more clearly defined constitution, and for a closer relationship with the throne… While the Seym had curtailed the monarch’s personal power, it wanted to invest much of its own in his person, thereby turning him into their executive. The would-be oligarchs in the Senate resisted this aim. But given the intellectual ferment of the time, many writers did think seriously about the experiment they were engaged in. It was as if Poland attempted its own Enlightenment. It is tragic that this was not studied and copied, as Britain would later be. …The most striking aspect of Polish thought at the time was its profound preoccupation with public affairs and government. The discussion on the Polish body politic was opened by Jan Ostroróg with his Monumentum pro Reipublicae Ordinatione (1476) which argued for a more just social and political system. …Much of this writing was feverently idealistic, and, like the work of the eighteenth century philosophes, pervaded by the mirage of an ideal condition. It represented existing abuses and injustice as perversions of this condition, rather than as inherent in human affairs. …This unbounded faith that science and learning could breed perfect citizens, that ideal conditions could produce political harmony, that artistic unity could physically enhance life — the belief, in a word, that utopia could be built, was fundamental to the course Poland took in the 1500s. It was the product of over a century of prosperity and security, of political self-confidence based on civil liberties of the citizen, and finally of an impressive legacy of political and social thought which continued to spread and develop through the printed word. There may not have been very much awaiting publication when the first press was set up in Kraków in 1473, but by the early 1500s the widespread urge to leap into print was evidenced by the proliferation of presses in a number of provincial cities. While originally legislation demanded that all books be passed by the Rector of the Jagiellon University, the executionist movement won a notable victory in 1539 by obtaining a royal decree on the absolute freedom of the press. This “executionist” movement clearly foresaw what was later to become one of the central tenets of all modern liberal regimes: that the law is meaningless unless it is narrowly defined and strictly followed. Simply getting the government to obey the law is an epic task, and one that we still struggle with even now. 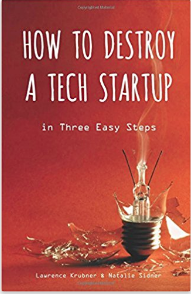 Back then, they lacked the vocabulary to fully describe the ideal they were seeking, but what is exciting is to realize the intense passion they had for the experiment they were engaged in. They knew they were doing something unique and important. From the moment of its creation the Union was multi-cultural, multi-racial and multi-religious. It contained Poles, Germans, Italians, Jews, Muslims and a huge cast of other Slavic groups. But in the 1400s it emerged as the fastest growing area in Europe, and it became a frontier nation, with immigrants pouring in from the rest of Europe. The previous century, the calamitous 1300s, had radically altered the balance between Poland and the more developed countries of Europe. Poland had escaped the ravages of the Black Death and the concomitant disasters which had disrupted economic life and enveloped the continent in a mood of despondency. The population of Europe as a whole fell by some twenty million during the fourteenth century, and it took the whole of the fifteenth to make up this loss. Poland’s population did not drop significantly during the fourteenth, and rose sharply during the fifteenth century. The gap between the populous west of Europe and the underpopulated east narrowed considerably… While stagnation set in elsewhere, Poland continued to develop, and since investment was easier and more profitable there, people and capital moved into the country in search of lucrative opportunity. In order to rule their vast domains the Jagiellons needed administrative cadres which only such a school could furnish. During the long reign of Kazimierz IV (1446-1492) some 15,000 students passed through the university, and all the major dignitaries, prelates and even soldiers had a degree from Kraków, often supplemented by one from a foreign university. As it grew, however, the university moved farther away from formal studies towards the speculative and humanistic fields. In 1449 a chair of classical poetry was endowed, by a woman (the German poet Conrad Celtis dubbed Poland an “Amazon society” on account of the atypical position of women in public life). At about the same time, Marcin Król of Zurawica founded a chair of astronomy and mathematics, a field that embraced all the most progressive and speculative aspects of late medieval learning. This school enjoyed great popularity under a succession of fine teachers, and drew to itself a disproportionate number of students. Among those admitted in the year 1491 was a young boy from Toruń called Mikołaj Kopernik, who was to make Poland’s most important single contribution to European civilization. Even as he studied in Kraków, Copernicus (as he is now known) began to question accepted principles and to work along lines which a few decades later were to revolutionize our human view of the universe and ourselves. I’ve gone through most of my life thinking of Copernicus as some bizarre anomaly, way out there in the middle of nowhere, at the far end of Europe, where nothing interesting had ever happened. In the narrative I was given, where he is the only thing I was ever told about Poland before the 1900s, he seems weirdly out of place. But now, having discovered that Poland was in the middle of this fantastic experiment with constitutional government and intellectual experimentation, Copernicus makes much more sense. Into this fantastic space, where all religions and races were accepted, where no one had to worry about being burned at the stake, where people were free to think any kind of thought without fear of punishment, there came this young man who was ready to challenge the narrative of the stars which he was taught, but which to him seemed untrue. At the time, Poland was the most liberal place in Europe, the most liberal place in the world, so of course, this is where modern science would be born. More than any other centre of learning in Central and Northern Europe, Kraków had become a crucible in which the scrap of the medieval world was being alloyed with the new mentality of the Italian Renaissance. There was little or no resistance to the progress of the new ideas, and the Church encouraged their dissemination. Piotr Bniński, Bishop of Kujavia, devoted his own fortune and that of his diocese to patronage of the arts, paying more attention to arranging symposia by humanist poets than to the spiritual duties of his position. Grzegorz of Sanok, Archbishop of Lwów, was animated by the same spirit. Born of plebian stock in 1407, he went to school in Poland and then Germany. Back in Poland, he took the post of choirmaster while pursuing studies at he Jagiellon University, from which he graduated in 1433. His subsequent appointment as tutor to the children of Jan Tarnowski brought him into contact with the royal court, and took him on a journey to Italy. He stayed in Rome long enough to attract the attention of Pope Eugenius IV, but it was in Florence that he dallied longest. He made friends with a number of Florentine scholars and poets, and began collecting a library, buying or copying anything he could lay his hands on. His return to Poland in 1439 was something of a literary event. …The Italian connection grew stronger as Poles travelled to study or to visit cities like Padua, Bologna, Florence, Mantua and Urbino at the height of their splendor. Italians of every class and trade came to Poland, bringing with them amenities and refinements, ranging from painting to postal services… The impact was omnipresent and lasting, nowhere more so than on the languages. The first treatise on Polish orthography appeared in 1440, and the Bible was first translated in 1455, for Jagiełło’s last wife, Sophia. In their search for words or expressions to describe hitherto unknown objects or sentiments, the Poles more often than not followed the simple yet melodious Italian examples. Such borrowings are found in profusion in areas such as food, clothing, furnishing and behavior, as well as in the expression of thoughts. These words rapidly passed from speech into writing and from writing into print. The year 1469 saw the first commercial use of Guttenberg’s invention of moveable type, in Venice. The idea was taken up throughout Europe with breathtaking speed: printing presses began operating in Naples, Florence and Paris in 1471; in Spain, the Netherlands and Kraków in 1473; in Wrocław, where the first book in Polish was printed in 1475; and in London in 1476. Whatever international advantages they may have forfeited, the last two Jagiellon kings gave their subjects and their country something of inestimable value. …They encouraged every form of creative activity throughout the most dynamic period of Europe’s artistic development, and they graciously allowed their subjects to do anything they wanted — except butcher each other in the name of religion. They institutionalized a spiritual and intellectual freedom which still lives, and they steered their country away from the storm which was blowing up on the horizon. This was to batter every other ship of the European fleet, causing untold suffering and millions of deaths. As in the case of the Black Death, only Poland was to be spared, but this time not because of a quirk of fate. It was principally owning to the efforts of the last Jagiellons that the murderous Reformation and Counter-Reformation never grew into anything more dangerous in Poland than a squabble over seating arrangements at a family wedding. He credits the Kings, but also the sheer diversity of the Union was a positive force. This was a Union that was multi-cultural and multi-racial from the moment of its creation. Intolerance would mean the destruction of the nation (as became apparent at the end of the 1600s). A significant proportion of the population was not Christian at all. The Jewish community multiplied each time there was an anti-Semitic witch-hunt in other countries, and its numbers soared in the decades after the expulsions from Spain in 1492 and Portugal in 1496. If zealous prelates were shocked to see synagogues in every Polish township, they were hardly less so to see mosques standing on what was supposed to be Christian soil. These belonged to the the descendants of Tartars who had settled in Lithuania… Many of them had been admitted to the szlachta, but clung to the Islamic faith. By the mid-sixteenth century there were nearly a hundred mosques in the Wilno, Troki and Łuck areas. The Polish hierarchy had failed to impose a strict Catholic or even Christian orthodoxy on the population, largely on account of its personal and political viewpoint. The Polish Church enjoyed a unique relationship with the Vatican. Its bishops were appointed not by Rome but by the King Of Poland, who submitted his candidates for Rome’s approval. When this was not forthcoming it was ignored. In 1530, for instance, Pope Clement VII violently objected to the anti-Habsburg and pro-Turkish policy of the Primate Archbishop Jan Łaski, and demanded that he be cashiered. He referred to him as “perditionis alumnus, Judae Scariothis frater, nomine archiepisopus, opere vero archdiabolus” and insisted that King Zygmunt dismiss him on pain of excommunication. Characteristically, nothing was done in response to this. After 1517, some of the demands of the new Protestants were simply less shocking in the Union than elsewhere, because the Union was more diverse. When Martin Luther insisted that all priests had to be married his decree seemed like pure heresy in France, but the Union had a large number of citizens of the Eastern Orthodox faith, where it had always been normal for the priests to marry. …In view of all this, it is not surprising that when Martin Luther nailed his famous declaration of war on the Papacy to the church door in Wittenberg in 1517 and set off a chain reaction which was to shake the whole Christian world, the seismic nature of the event was largely lost on Poland. His teachings rapidly penetrated northern and western areas, enthusiastically received by the preponderantly German population of the towns. Cities like Gdańsk were almost entirely Lutheran by the mid-1520s, but in the surrounding countryside the reform movement met with a patchier response. Calvinism was another matter. Enhanced by its more sympathetic Francophone associations, it rapidly gained ground all over the country. The democratic spirit of Calvinism, which placed the lay elder on a par with the minister, could hardly fail to appeal to the instincts of the szlachta, while the absense of pomp and ceremony from its rites made it a pleasantly cheap religion to support. By the 1550s a dominant proportion of the deputies to the Seym were Protestants, but their number was not representative, since the most ardently Catholic palatinates regularly returned Protestant deputies. By 1572 the Senate provided a similar picture. Of the “front bench” seats, 36 were held by Protestants, 25 by Catholics, and 8 by Eastern Orthodox — an overall majority which again meant little except that many magnates had converted to Calvinism. It was they who provided the conditions for its growth in Poland. …Although they gained an ascendancy, the Calvinists never managed to control the Protestant movement in Poland. The northern cities stood by Luther; Anabaptists seeking refuge from persecution in Germany appeared in various areas of the Union in the 1530s; and in 1551, Mennonites from Holland set up a colony on the lower Vistula. But the Protestant sect which produced Poland’s most significant contribution to Christian philosophy were the Arians. Originally a breakaway group of Hussites practicing in Bohemia, until they were expelled in 1548, they settled in Poland as “Czech Brethren” and were later known as Arians since two of their fundamental beliefs — the human nature of Christ and the rejection of the Trinity — were first voiced by Arius at the Council Of Nicea in AD 235. Theirs was a rationalistic and fundamentalist response to the teachings of Christ, whom they believed to be a divinely inspired man. They saw his teachings as a perfect philosophy which had to be applied to the letter. They were therefore pacifists, opposed to the tenure of any civic office, to all forms of serfdom, to the possession of wealth, and to the use of money, believing as they did in the common ownership of all material goods. The word “communist” was coined for the first time in Polish in 1569 to describe their way of life. …The large Jewish community in Poland had also been affected by the spirit of the times, and the expulsions from the Iberian peninsula had brought many distinguished Spanish scholars to Poland. In 1567 a Talmudic Academy was founded at Lublin, with the eminent Solomon Luria as rector. This added a new dimension to the religious debate raging throughout the country. The Jews themselves were not united, and there were still considerable colonies of Karaites — Jews who accepted the Bible and rejected the Talmud. The Arians made many converts from the ranks fo Talmudic Jews, while a number of Arians and Calvinists converted to Judaism. It was one of these converts, “Joseph ben Mardock” Malinowski, who played the most incongruous part in this religious interaction. It was he put the finishing touches to the Hebrew original The Fortress Of The Faith, a Karaite catechism by Isaac ben Abraham of Troki, which was subsequently published in a number of countries, and was later rediscovered by Voltaire, who believed it to be the greatest demolition of the divinity of Christ ever written. In every other country the established Church reacted with violence to the slightest departure from dogma, let alone such wholesale rejection of the fundamental tenets of Catholicism. The reaction of the Polish hierarchy was either pragmatic or cynical, but never hysterical. Bishop Drohojowski of Kujavia, a region seriously affected on account of its large number of German dominated towns, remained on friendly terms with those who went over to Luther, and even went out of his way to meet prominent heretics. With an open-mindedness rare even in purportedly ecumenical times, he sanctioned the takeover of the Church Of Sant John in Gdańsk by the Lutherans, since most of the parishioners had gone over to the heresy. He also allowed the sharing of parish churches in his diocese by Catholics and Lutherans. He once reigned in a priest who was carried away in the pulpit calling for the rooting out of heretical weeds, by observing that drastic weeding would only reveal how little good corn was left standing in the diocese. …In many countries the Reformation had social and political overtones. In Poland it was above all a Constitutional issue. As the Papal’s Nuncio’s secretary noted, after witnessing the debates of a Mazovian seymik, the assembly seemed staunchly Catholic when the discussion turned on the faith and sacraments, but when the talk was of the privileges of the clergy, a number of Protestant voices could be heard, and when it came to the subject of the Church’s immunity to taxation, the entire seymik appeared to have become staunchly Calvinist. …In 1554, Bishop Czarnkowski of Poznan sentenced three burghers to death by fire for heresy, but they were rescued by a posse of mostly Catholic szlachta. Poland managed to build something very beautiful, long before any other Western nation. I find it tragic that this is not taught in the schools in the USA. I find it tragic that this has been seemingly forgotten, at least in the USA. This bit of history deserves to be better known, as it alters how we read so much else about Western history. I’m glad to see that people start to learn this part of history. I’m not from Poland, but from Lithuania, and I’m quite sad that most books in the west about this part of history are from polish perspective. From Lithuania’s perspective poles weren’t the best guys, they usually wanted too much. Though still great that someone found this. Most of this is not taught in polish schools either. I’m a pole myself and I haven’t been taught most of those things, even though I went to school fairly recently. I knew we were a bit more liberal than the west, but I didn’t realize we were as liberal as this. This article was a really big surprise to me. We may not have been taught this in school, but it wasn’t forgotten by the Powers That Be. Whereas today’s more conservative Christians in America find fault in the socially-aware statements issued by Pope Francis, the Vatican of a century ago presented a reversed difference of opinion. In 1899, Pope Leo XIII issued an encyclical called Testem benevolentiae nostrae, to the archbishop of Baltimore. Its purpose was to call out the heresy of Americanism, to not allow civil liberties to trump the laws of the church. And now, we have the 180 of Pope Francis issuing encyclicals pleading for civil liberties to indeed trump all laws. Richard Caldwell: W.r.t. Francis and Leo XIII, it’s important to first get straight what they claim (Francis is widely misquoted or taken to mean things he has been vague about; Francis has been a very problematic people). In the case of Poland, Poles took a particular stance toward its citizens and populace that conforms to one of the purposes of the State, that is, the maintenance of social order. In a diverse country, *certain* liberties or tolerances are necessary concessions for the maintenance of the social order. That does not mean that the Catholic faith and its tradition was undermined or watered down. The Catholic faith was still the faith of the Commonwealth. Kings had to be Catholic, which means some converted (Jagiello, Augustus). When a Protestant obtained a consecrated host from a Catholic Church and proceeded to trample it, a sacrilege, the matter was not pursued legally not because it wasn’t incredibly offensive to God and in the eyes of Catholics, but it was decided that his judgement in this spiritual matter would be left to God. Mind you, much of the back and forth with Rome was political more than religious, so it was more of a matter of the Polish monarchs pushing back on Church politics, not doctrine or teaching or whatever. Futhermore, the Church has been maligned throughout history by Protestant and Enlightenment figures, so some of the claims like Copernicus’ fear of the Church (odd, because not only was he a member of the clergy, but like the article mentions, his work interested bishops and at least one pope) was actually a fear of contemporary academics who generally held to the established geocentric theory (mind you, it wasn’t until centuries later that Copernicus’ alternative model was demonstrated). We should be mindful of simplistic narratives. Strictly speaking, the Poles have a very long republican tradition and thus liberal in the sense of liberty in this vein. It seems that many in the current ruling party, and others, are interested in re-energizing Poland’s native political traditions, so brutally suppressed by foreign powers, in place of the aberrant foreign transplant of Western liberalism.